Negotiating your salary is a key part of the job search. Wait until after you get a job offer to talk about pay and benefits. Negotiating is a two-way street. People make these deals differently. Use the tips below that work for you. Know what salary you can expect for the occupation by researching the average salary for your occupation. Think about your pay needs based on your household budget activity on page 8. Try to find out what the company pays before the interview. Call the human resources office or your networking contacts. Pay is only one part of job compensation. A job with low pay might have good benefits like a flexible schedule or health insurance. 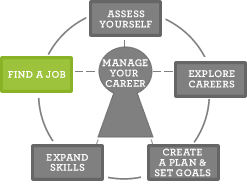 Think about the job offer in terms of your needs and long-term career and life goals. Talk over the offer with someone you respect. Make a list of the pros and cons. If you can, do not accept a job on the spot. It's common to get a few days to think about it. Even if you know you are going to say "yes," ask for 24 hours. When offered the job, make it clear if you want it. If you are not sure, say there are some items you would like to discuss before you can accept the job. Listen carefully to the offer. If it is different or less than you expected, let them know that. Say you are still interested in the job if they want to reconsider their offer. Ask for basic, practical benefits first. Those requests might include more money, tuition, or training. You might also ask for more vacation time, a flexible schedule, stock options, or parking privileges. Negotiations should never be mean or emotional. This is a business meeting. Use your values and skills to negotiate. Do not use your need for the job to negotiate. Did they offer the same pay and benefits a few days later? That's probably the final offer. When this happens, you can ask for a six-month review to look at your performance and pay. You can also turn down the job and ask that they keep you in mind for future openings. But don't burn bridges — you never know what might happen. Don't say "no" as a trick to negotiate for more pay. You could lose the job forever. When you accept their offer, ask them to put the pay and benefits in writing. Got the job? Congratulations! Keep advancing in your career. Go to Succeed in the Workplace. Researching the average salary for your occupation.